You may want to discuss with your students the many different values found in this old-growth forest. There may be a number of species in this ecosystem that require the centuries needed to grow such a forest -- and even if those species are few in number, consider how many human generations would have to pass for old-growth to reappear if we lost it all. Redwoods forest, Big Basin Redwoods State Park, California. 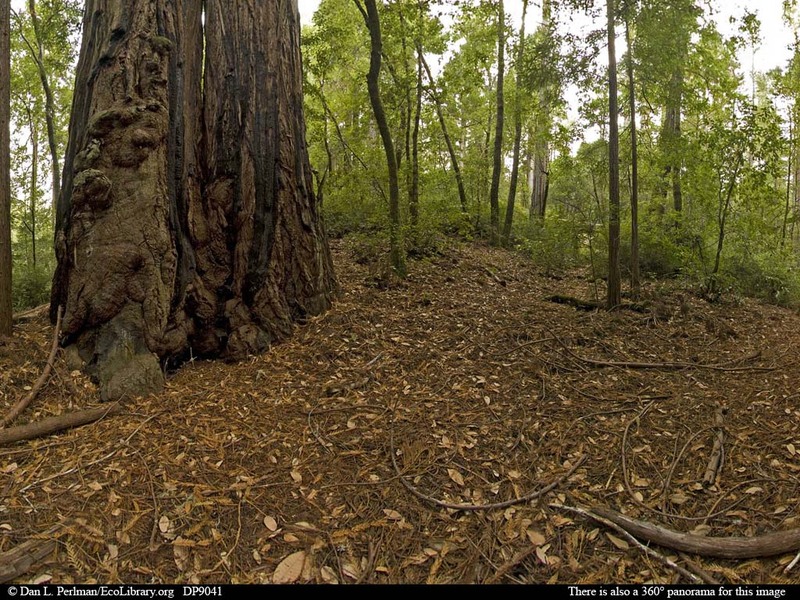 These forests are home to redwoods, some of the world's largest trees. These trees are regularly 3-4 yd (almost 3-4 m) in diameter, 75 yd (70 m) tall, and over 1,000 years old. The very largest and oldest can reach over 5 yd (5 m) in diameter and be more than 2,000 years old.